It’s the year 2620 and the international space organization U-NASA is sending an elite crew to Mars. 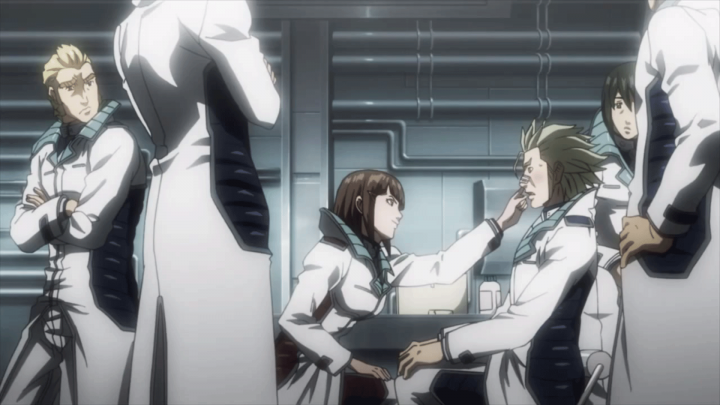 Their mission: to collect samples of an evolved alien cockroach, the Terra Formars, to create a vaccine for a deadly virus that has spread to Earth. 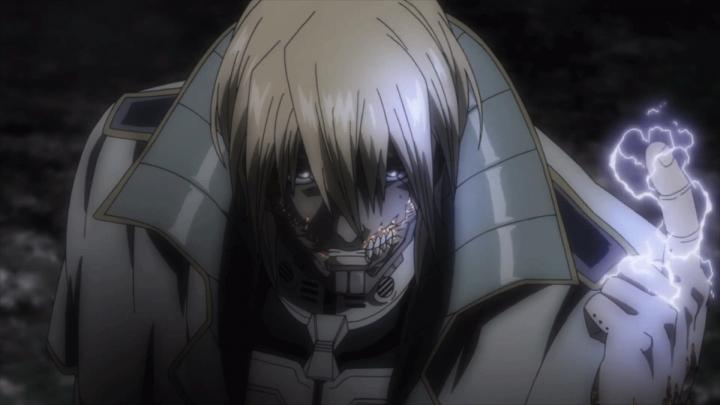 That’s really about all the plot you’ll get with Terra Formars, as the rest of the developing events in the anime serve only to create situations for man-on-bug beatdowns. Characters are introduced briefly and just as quickly eliminated, serving not much emotional purpose than to spur the rest of the crew to fight more bugs. Those that do get decent backstory slow the pacing to a crawl as flashback after flashback interrupts the flow of action. However, the meat of the show, the battles with giant roaches using super powers, is greatly enjoyable. As long as you don’t spend too much time thinking “why”, this anime will offer up some high-octane fun. Terra Formars quickly flies through its basic premise: virus from Mars with a 100% mortality rate, giant alien cockroaches are the source, people with special powers need to capture them for vaccine samples. There’s really not much more to it, with no details on how the cockroaches, the Terra Formars, evolved to humanoid cavemen form after being dumped on Mars as a batch of regular Earth cockroaches. There are no windows into the effects the virus has on the world’s population — its spread, symptoms, and political ramifications are all left unmentioned. It’s a loose setup just to get the U-NASA crew’s mission launched, composed of over a hundred surgically modified humans who will mostly all get killed off at some point. Due to the large cast of characters, the anime cannot focus on developing all of them. Most are just caricatures of different personalities, fated to be killed off as casualties of war. The main protagonist, Akari, doesn’t get much backstory himself, jumping into the mission after hearing about his childhood friend’s death to the virus (which happened off screen almost as a side note). After a few scenes of crew bonding, the anime has a sudden shift in tone. One moment guys are peeking through the girls’ shower room and the next it’s a sudden explosion of blood and body parts as the roaches attack. It’s extremely gory and quite shocking to see heads pulled off and bodies torn in half as the crew panics. Once the fighting starts, all discussion of the mission reduces to a trickle and it becomes just an excuse to fight alien bugs. But the anime doesn’t pretend to be any deeper than that anyway. After crash landing on Mars, the U-NASA crew splits up into six separate squads. 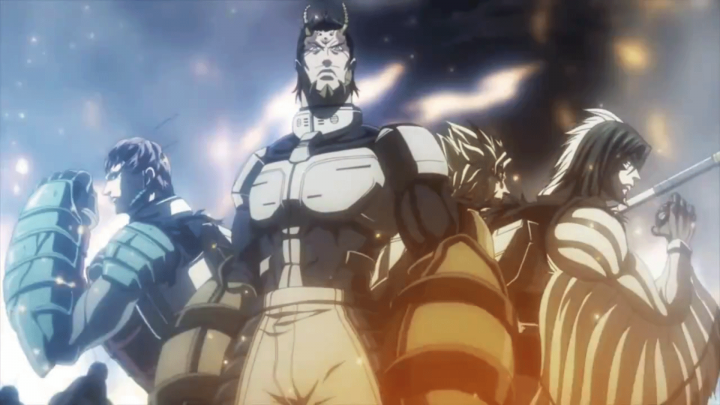 It’s now that Terra Formars begins unveiling its “cool factor” as characters unleash their powers one by one. The surgery each crew member received was intended to mix their DNA with that of other animal species. When activated via a special medicine, people can metamorphose into humanoid fish, birds, and insects with accompanying superhuman powers. These powers are generally inventive and fun to see in action, if a bit cheesy in design at times. The huntsman spider hybrid can detect the smallest changes in air with micro-hairs, allowing him unprecedented reaction time and dodging speed. The blast ant hybrid is supremely strong with the capability to literally make her enemies’ bodies explode. Akari in particular has a unique power in using ultra-durable string to manipulate himself and the roaches around the battlefield. Every new hybrid form is fun to anticipate and watch as the fights unfold across the Mars landscape. However, there are a lot of pacing issues throughout these episodes. There is a lot going on for each squad after splitting up, but significant time is spent on flashbacks and internal monologues of just a couple of characters. It’s good to finally get some character development, but difficult not to think about the rest of the crew. What about the one squad who was left swarmed by a legion of roaches two episodes ago? What’s the plan for any of them to rendezvous? On top of these lingering questions, the fight scenes themselves are interrupted constantly by the excessive amount of flashbacks, killing the flow of action. The Terra Formars are mostly just drones, walls to break through to exhibit the next character’s powers. The pacing issues continue for several more episodes. The constant flashbacks do help relate to a character’s individual motivations, but the overall mission’s importance isn’t developed strongly enough to pull you in and root for the U-NASA crew as a whole. A few characters briefly mention family members that have the virus, but since the scale of the impact it has on Earth is still not presented, it feels like a contrived plot device. Was the deadly virus created intentionally to kill off humanity? Why are the roaches so organized and for what purpose? The Terra Formars are mostly just drones, walls to break through to exhibit the next character’s powers. The main highlight of this section of the anime is the portrayal of executive officer Adolf’s determination. He feels like a completely developed person whose past drives his desperation to help his squad and the rest of humanity. Watching his struggle against the unrelenting tide of giant roaches is heart-wrenching as he pushes himself and his powers to the absolute limits. This is where Terra Formars finally shines, connecting characters and story events together for a non-stop thrill ride to the finish. The conspiracy behind the U-NASA mission is cast into the light, with international politics back on Earth revealed to be the cause behind the crew’s predicament and the roaches’ actions. The level of intensity is held at a constant high after the roaches launch an unexpected strike against the U-NASA, with an ensuing tug-of-war struggle of near deaths, rallying counter-offensives, and close calls. The action is at last fluid with reasonable pauses for dialogue as all characters cover each others’ backs in an exciting display of teamwork. It’s pure fun that feels like there’s something actually at stake for all involved. 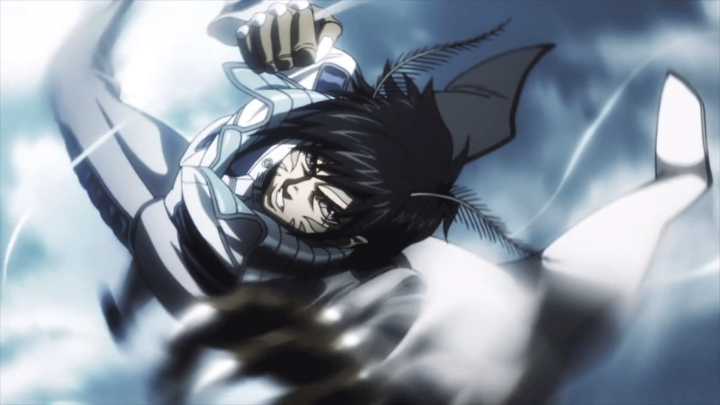 It was often messy at times but Terra Formars was ultimately an enjoyable show by the end. The plot never expands beyond its initial briefing and many characters felt hollow. But with some patience wading through the fluff, the anime eventually provides ample entertainment when everything does click. If the live action film can exhibit the raw energy of the last few episodes, it should be one to watch out for.